One of our regular training room renters is an entrepreneur who has had several businesses. Some have been successful and others not so successful. Now he teaches other entrepreneurs about the pitfalls he encountered. As a start-up, do you really want to be locked into a long-term lease for office space? 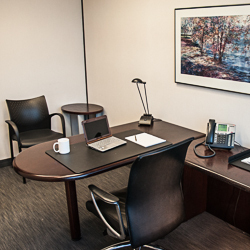 Renting short-term office space on a month-to-month basis allows you to grow and expand your space without a penalty. But it also allows you to take smaller space at the same address without losing your corporate identity. Telsec has learned by experience that social media is the way to attract an audience and turn those views into customers. 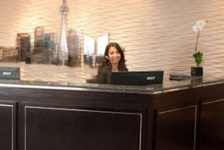 Many of our new Virtual Office clients found us through social media and this blog. Most of our posts are not about our products, but offer advice to small business owners. This helps to build trust and not be seen as just advertising the services we offer. Since starting this blog and writing articles for other websites, Telsec is called upon from time to time to share advice to small businesses and start-ups. Business articles have even linked to some of our blogs as sources on the changes that are happening in office space. When one of our office-space tenants had an idea for a new product, he asked us about renting an additional team space for a special project that would require 8 months of teamwork. We had an available team space and did not require them to sign a long-term lease. His team was able to come up with a plan and ended up only needing the additional space for 5 months. The short-term rental saved them a lot of money.